A unknown vehicle collided with my vehicle and proceeded without stopping What am I to do? 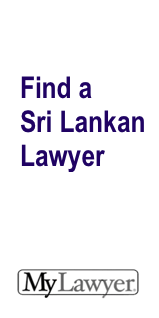 Sri Lankan Law Forum » Traffic Law Forum » A unknown vehicle collided with my vehicle and proceeded without stopping What am I to do? If you are aware of the number / colour / make of the vehicle, complaint has to be made at the nearest Police Station. You have the option to call 119 and inform details for purpose of investigations.